A few things about this video. It is truly amazing. Check the date: 1989 – The 90′s were only months away, but here, in this den, in the company of “Bill Elliott”, knee socks and Stairway are still holding strong. And what about the Fleming bottle cutter? As Bill suggests, you can make a great little drink glass from ordinary jars. Or, if you’re feeling crafty, a little rocking chair thing? 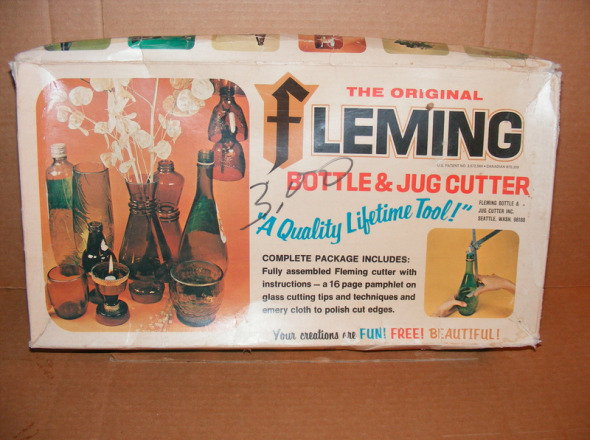 Fleming Bottle Cutter: $14.99 on Ebay.